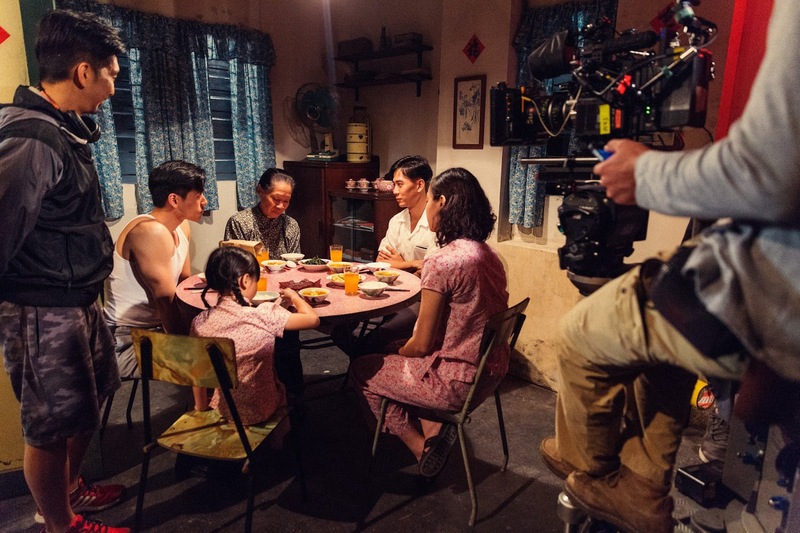 Set in the years leading up to Singapore’s independence, the film '1965' is a dramatic thriller based on historical events which looks at the fragility of racial harmony in Singapore. Daniel Yun, the producer, is a veteran in the Singapore film industry. He previously founded and was Managing Director of MediaCorp Raintree Pictures. Daniel led MediaCorp Raintree Pictures with over 30 releases since its inception including the box office hits '881' (2007), 'The Maid' (2005) and 'I not Stupid' (2002). Randy Ang, the director, has previously directed feature films like 'The Days’, ‘re: solve’ (2014), ‘1965’ (2015) and ‘Curry Curry Christmas’ (2012). 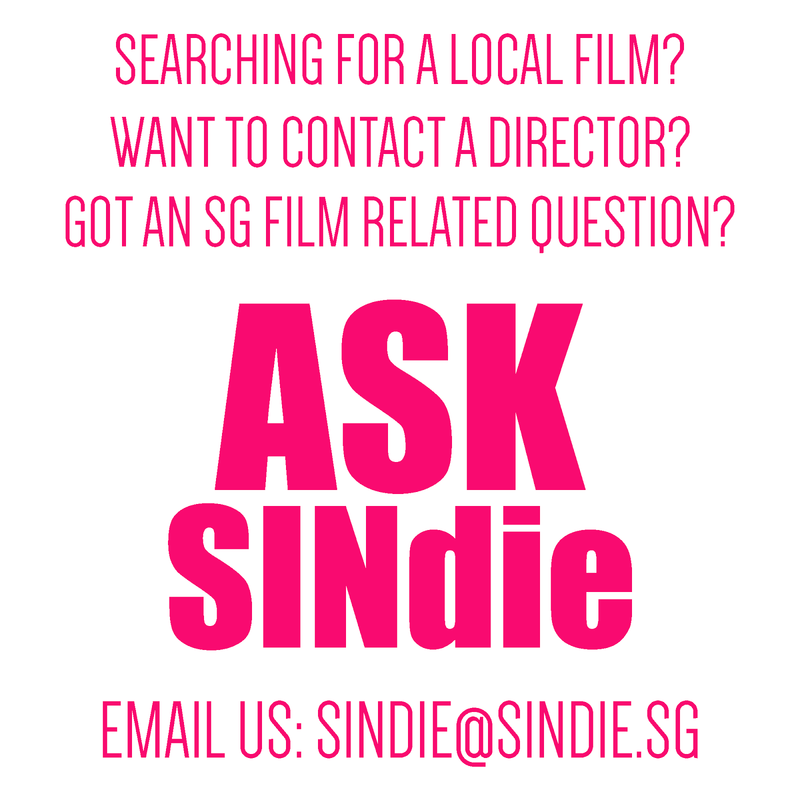 He was also a co-founder of Sinema, a popular local theatre venue, screening Singapore film works. 1. How important was it to achieve accurate historicizing for the film and why? D - The focus for almost all of us was that we needed to tell real stories. The characters may be fictional, but the settings needed to be historically accurate. Whatever happened to these characters happened to people living during that time. This was the only way we could match them with actual events in history and match them with the real character of Lee Kuan Yew in the narrative of the film. 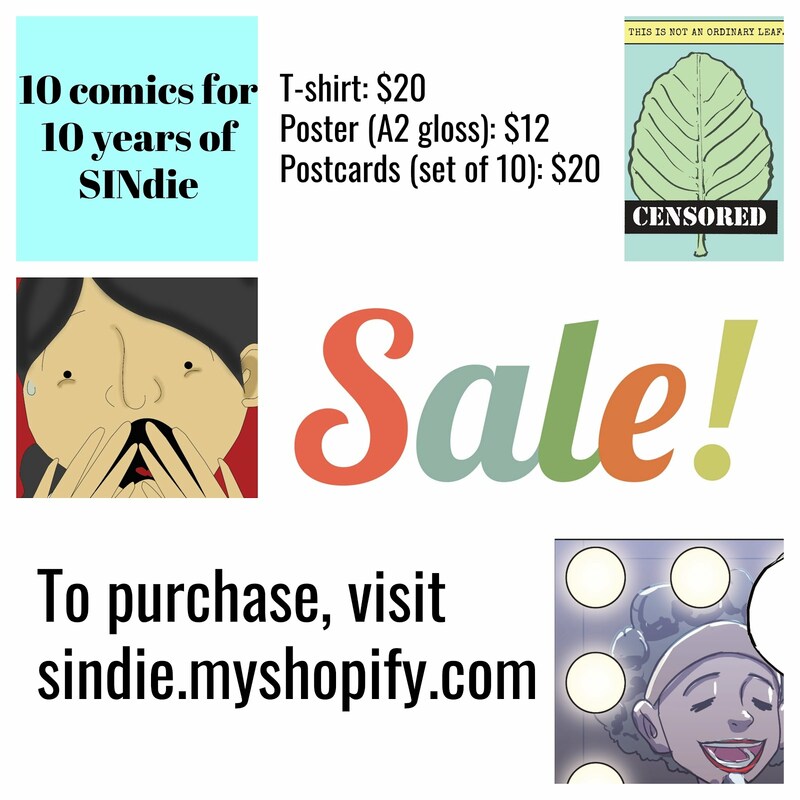 We needed to convince ourselves that we could convince audiences, especially our pioneer generation who lived through the 1960s, who lived through the months leading up to our independence. Hence our research was extensive, both factual and anecdotal. The key is to transport audiences back in time, for some to see themselves or remember actual people they know who lived during that time. R- We had over 1400 visual research materials from the National Archives, a historian as well as three cultural consultants onboard. There is a shot of our art department's office, where we had all of these materials pasted up on the wall, it occupied the entire space. But more importantly, we wanted the audience to be transported back to the 60s, sights and sounds does that. It is an emotional journey and being a little mad here makes the journey more enjoyable. 2. The death of Khatijah’s youngest son and how that sparked off an irreconcilable trust for other races really anchored the story. Were there other alternatives in story options that the creative team played around with? D - Yes, there were, including one that revolved around stopping an assassination, not unlike the ’The Day Of The Jackal’, which would have been totally fictional. 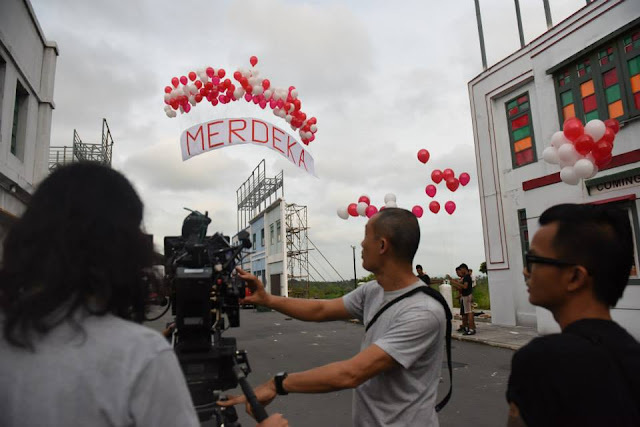 In the 5 years, the film evolved, from a biopic of Lee Kuan Yew, to stories of common people caught in the chaos of this tumultuous time. I felt and still feel that to just tell the Lee Kuan Yew story, the film needs to find a fresh and compelling angle from all the available information and facts on the man. I am sure one day this film will be made. Mid way through development, we found a premise we could expand into a mainstream film. An integral part of this premise is the death of Khatijah’s youngest son. The other part is the disappearance of Cheng’s daughter. Against a broad backdrop, I knew we needed to tell very personal stories. Stories that are relatable to audiences, and stories that are linked to the main historical events like the race riots, and how the distrust among the races were exploited. R -This main story thread has always been the inciting incident for the film, even when I first got hold of the script. We moved and change thereafter to give it a focal point, especially for each individual character. And there were quite a few in '1965'. We only have a 2 hour period to tell quite a lot of stories, so eventually not all the characters are fleshed out completely. There was a time when we were slanted towards the story progressing towards the bombings that happened in that period, and the main characters were all about stopping the bombs. But that eventually made the film felt less personal when it relates back to the first incident. 3. How was it like working with this particular group of cast members, were the dynamics between cast members, and between cast and creative team what you expected? D - It was my wish to strive for what I call an 'inspired casting'. I didn’t want the usual suspects in a Singapore film. Other than Lim Kay Tong as Lee Kuan Yew, we match someone like Qi Yuwu with Deanna Yusoff. The dynamics were interesting to say the least because the chemistry between them was unknown. 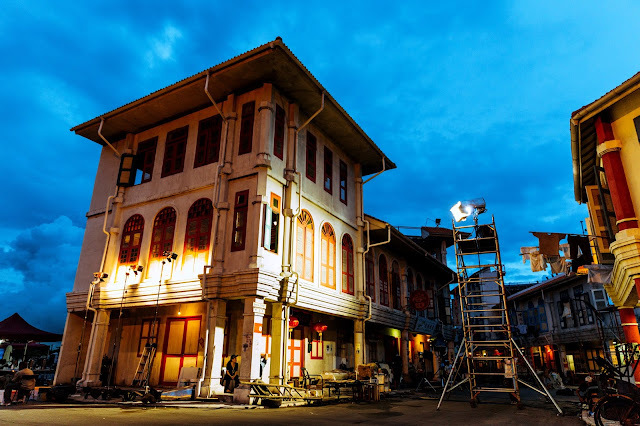 Beyond these two leads, the other experienced actor was Joanne Peh. It was my intention that Qi and Joanne would not play a couple. The rest of the cast, Sezairi, James Seah, Mike Kasem, Nicole Seah and the actors playing Watson and Sue, were all relatively new or totally new to the big screen. The collective impact is both fresh and unpredictable. The experienced actors were very generous and patient with the new actors. We had just enough rehearsals for spontaneity and on-set magic to happen. The special attention to details of the set designs transported every actor back in time. There was always room for each actor, experienced or otherwise, to interpret their characters in ways that were real to them. For Lim Kay Tong, with every scene being heavily researched and documented, there were still room, not for creative licence, but for someone as experienced and skilled like him, to sink his teeth into the moments we all thought we knew of Lee Kuan Yew. R - Every actor works in their own way, have their own methods. A lot of what was presented on screen, the chemistry, the intrigue, happens during the rehearsal process. We were so fortunate to be able to have the time to do that. That was very collaborative, everyone brought something to the table. A tweak here, a little change there, it all helped with the performance. So often when we roll, it was filming the actors in the moment and it doesn't feel too staged. The sets and props also helped the acting, everything felt real, even the smell. 4. How and where does the creative team think the film will fare in the international film scene? D - We are realistic that this is essentially a Singapore story. For both the young and older Singaporeans. This is also an immigrant story. We think there will be some interest in South East Asia. We are talking to India and China. mm2 Entertainment is also having ongoing discussions with buyers. The Singapore story and the leadership of Lee Kuan Yew are appealing to people around the world. Some festivals are interested to preview because of the hype. People have emailed and have left messages enquiring if ‘1965’ will be screened in the countries they live in. R - I believe the producers have submitted the film for some festivals and we have some enquires from India and China. As we are finishing the film, there was a realisation how relevant the film is. Racial and social diversity is still very much prevalent in the world today, even in a super-power nation like the United States. A promise that was made in 1965 to built a multi-racial society isn't something to be taken lightly. I meant, we have achieved quite a bit as a small nation in fifty year but this cohesion is really something very fragile. 5. How has the significance and meaning of the film developed over the 5 years of its creation? D - When I started working ‘1965’, I did not know of the term SG50. This is a film developed independently of all the plans for our golden jubilee celebrations. ‘1965’ as a film can be about anything. The initial years of development were important for us to zero in on the theme of how fragile racial harmony can be. It is a theme that is timeless and borderless; issues of racial harmony are not time specific or localised to any country. The issues are as real today as they were in the 1960s when we were racially divided. The Little India Riot of 8 December 2013, the naming of the Indonesian Warships in February 2014, Lee Kuan Yew’s passing in March 2015, and the release date of ‘1965’ a week ahead of our 50th National Day, the only one celebrated without Lee Kuan Yew - these are milestones, all a part of the journey and they all helped shape the movie. R - 3-4 years ago, I am an audience, hearing the announcement of this film and in eager anticipation of what it would be about. I have only been on the project for 2 and a half years, it was the last year of the process when everything sort of fell into place. I guess no one onboard knew that there was such a thing called SG50 when it first started, we won't have known that a monument will be made in memory of the victims of Konfrontasi. We won't know that Mr Lee will pass away. 6. How did the creative team determine the scenes in which the use of dialect was crucial to characterisation and adding subtext to the plot? D - There is a stipulated limit - only 40 percent of a Singapore film can be in the various dialects. In this time and age, to produce a film for the masses, the use of dialects is double edged. The young will not understand. There is also another challenge - some younger actors cannot speak dialects. With all these limitations and considerations, dialects were used with one key character - Cheng. 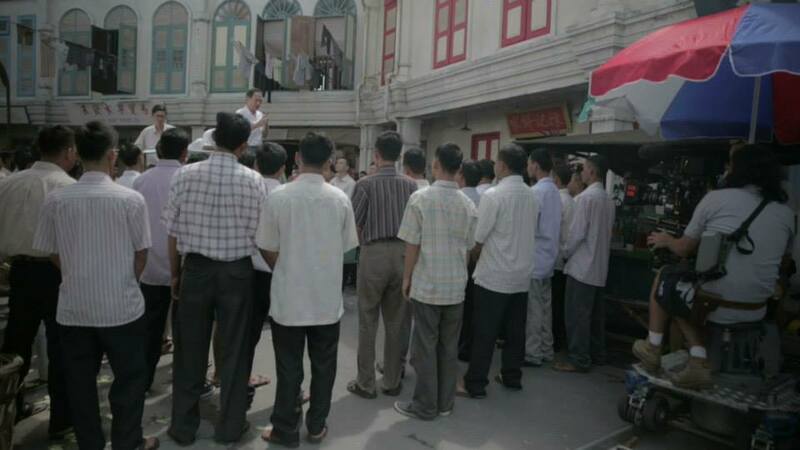 And some older actors, including Liang Tian, who played Zhou Jun’s father. Our ambient sounds are also littered with dialect news broadcast and operas. For Cheng, we decided he would speak Cantonese when he is expressing something dear and close to his heart. In one scene where he confronted Khatijah at her house, he spoke entirely in Cantonese. His wife translated for him in Malay, underscoring how racially divided we were during that time. 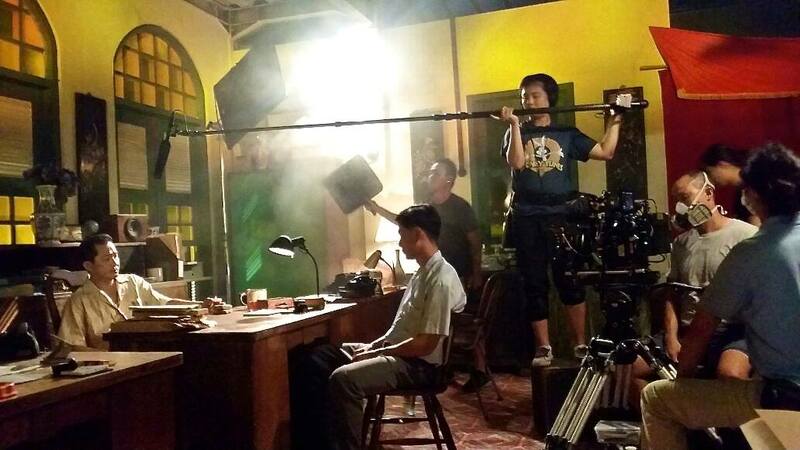 R - All Singapore films are given a 30%-40% used of dialects, we just push that to the maxed. If you listen to the background sound, there are also radio programmes in the Chinese dialects, Malay and Tamil. Our languages adds so much colour to our mixed culture, perhaps in way, the great thing about making films is that it can capture all that for the younger generation and hopefully for the generation next to come.